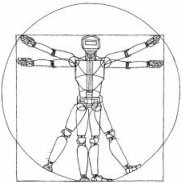 Robotics: Science and Systems is a new conference that will bring together researchers working on algorithmic or mathematical foundations of robotics, robotics applications, and analysis of robotic systems. Papers are solicited in all areas of robotics. The final program will be the result of a highly selective review process designed to include the best work of its kind in every category. The conference will be single track to allow attendees an opportunity to see the best research in all areas of robotics. The program will include invited talks as well as oral and poster presentations of refereed papers. The main conference will be followed by one day of workshops. Proactive efforts are underway to keep conference expenses affordable, particularly for student attendees.